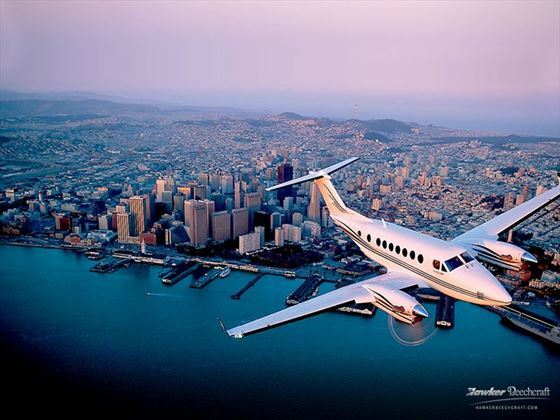 Truly the best way to explore western USA, using a combination of private jet and air-conditioned coach to the best advantage at seeing the sights. Take a private jet from Vegas to the Grand Canyon to enjoy a birds-eye view of this magnificent natural phenomenon, plus the Hoover Dam & Lake Mead. You’ll meander along the glorious pacific coastline by motorcoach to fully enjoy the sweeping views. Big distances are covered by private jet, to allow more time in Yosemite and Los Angeles, and the National Parks of Monument Valley & Zion are toured by motorcoach so you can appreciate the spectacular vistas. You’ll also enjoy wine-tasting in the Napa Valley & cruise San Francisco Bay, on this holiday of a lifetime. 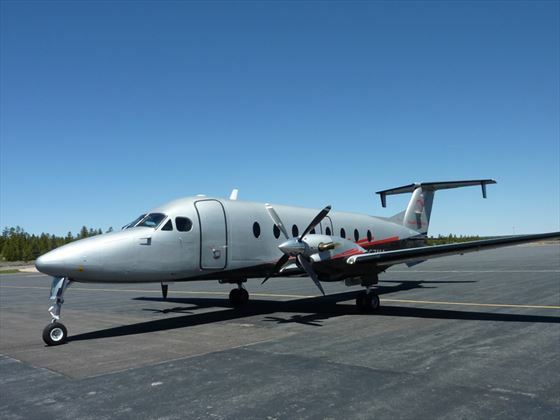 The air sections of this tour will be on board a Beechcraft 1900D Execliner, and will have 16 passengers per flight (two aircraft will be used as there will be a maximum of 32 people on this tour). Everybody gets a window seat so you’ll have great views and great photo opportunities. Arrive into Las Vegas and transfer independently to your hotel where you’ll meet with your Tour Manager. The evening is free for you to do as you wish, from taking in a show to wandering along the famous Strip or hitting a few of the casinos. If you want to admire the sights, take a ride on the 550ft-tall ‘High Roller’ observation wheel, the tallest in the world and an exciting way to experience beautiful vistas of the skyline. 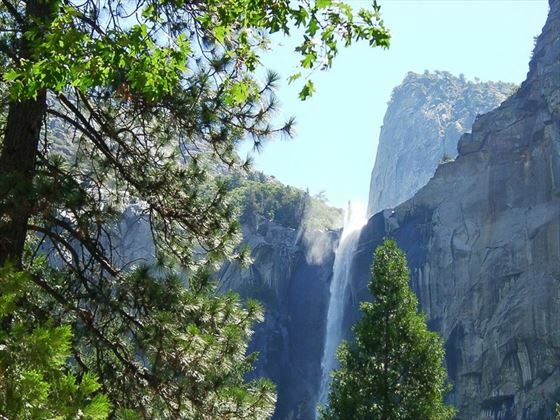 Take a short flight on board a private aircraft this morning to Merced which serves as the gateway to Yosemite National Park. Upon arrival, you’ll board a motorcoach and journey along the original route along Highway 140, which was the first route that brought travellers directly to the valley floor along the Merced River Canyon. 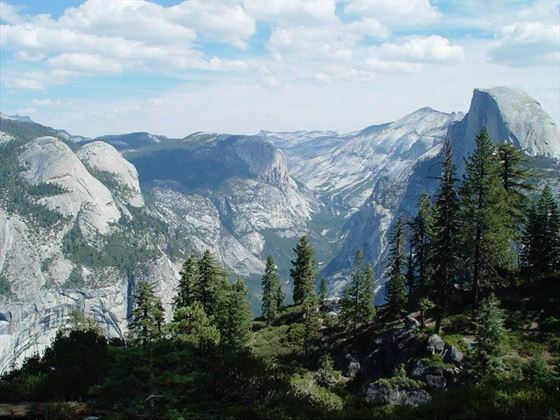 Once you arrive inside the park you’ll be met by the awe-inspiring scenery of the park itself, including the Half Dome, El Capitan, Tunnel View, Bridalveil Falls and Yosemite Falls. Be sure to have your camera ready as this breath-taking area boasts countless photo opportunities. Bid farewell to the park and journey west to the City by the Bay – San Francisco. 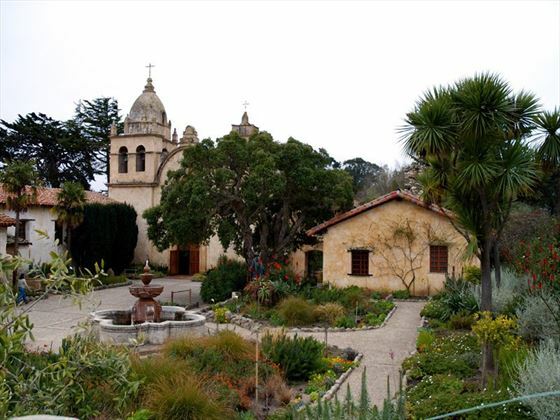 Along the way, you’ll stop in the famous Napa Valley and have chance to explore the town of Sonoma. 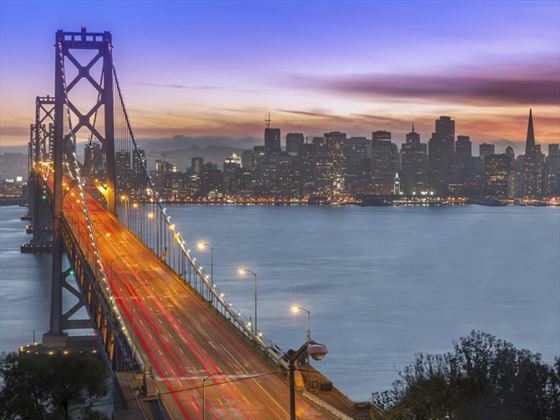 San Francisco is a distinctive and ever-popular city, with diverse neighbourhoods, varied restaurants and bars, and renowned landmarks to explore. 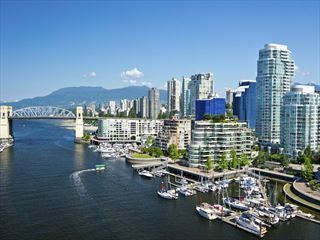 This morning you’ll embark on a city tour in the morning for a fun and laid-back way to experience all that the city has to offer, from Union Square and Fisherman’s Wharf. No visit to the city would be complete with a tour of the bay, so prepare to set sail on a cruise past the famous Pier 39 and its sea lions, all along the historic waterfront and under the Golden Gate Bridge. 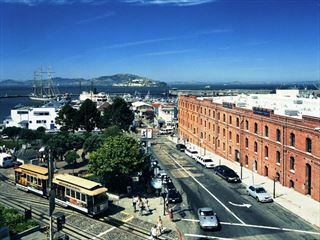 After circling the notorious Alcatraz Island, you’ll return to land and be free to explore at leisure with some visits to the museums, a coffee in a quaint café or perhaps a spot of shopping. Venture south this morning along 17-Mile Drive by motorcoach, passing the beautiful estates, emerald green fairways and the Pacific Ocean to Monterey. Afterward, Visit Fisherman’s Wharf and Cannery Row’s historic waterfront district before carrying onwards along the Pacific Coast Highway to Carmel-by-the-Sea and Big Sur. Further south, the highway passes Hearst Castle and Morro Bay into the heart of California’s Central Coast. After breakfast head south to Santa Barbara, visiting Solvang en route. 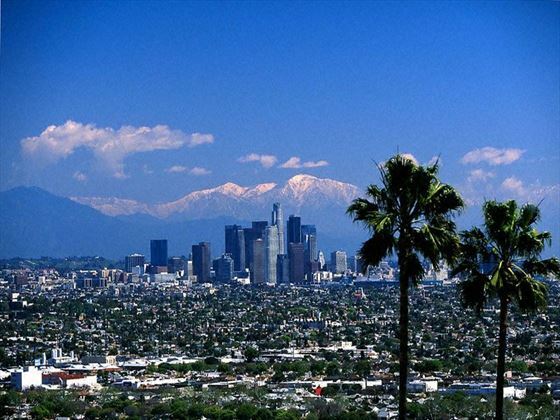 Enjoy time in the charming coastal city of Santa Barbara, strolling the windy streets, then continue south to Los Angeles. Evening at leisure in LA. Enjoy a comprehensive tour of Los Angeles, exploring the seaside communities of Marina del Rey, Venice and Santa Monica, home to California’s oldest pleasure piers. You’ll also get a flavour of Hollywood glitz and glamour when you check out the Walk of Fame, Sunset Strip and Rodeo Drive. Transfer to the airport this morning and board a private aircraft to Las Vegas where you’ll be transferred to your hotel upon arrival. The rest of the day is at leisure to experience the city at your own pace. 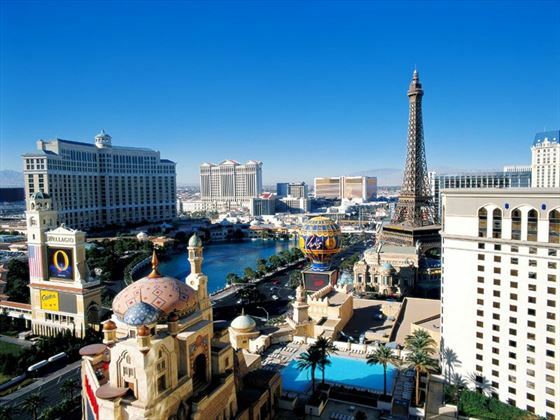 A full day to enjoy Las Vegas or take the optional tour to the Grand Canyon. 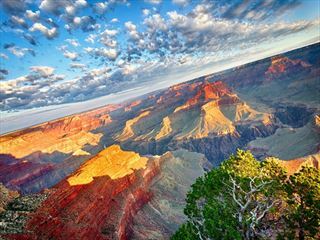 Visit the iconic Grand Canyon today, beginning your adventure to this world-famous park with an unforgettable view from the air – board a private aircraft bound for the South Rim of the park and glide over the Mojave Desert, Hoover Dam and Lake Mead. 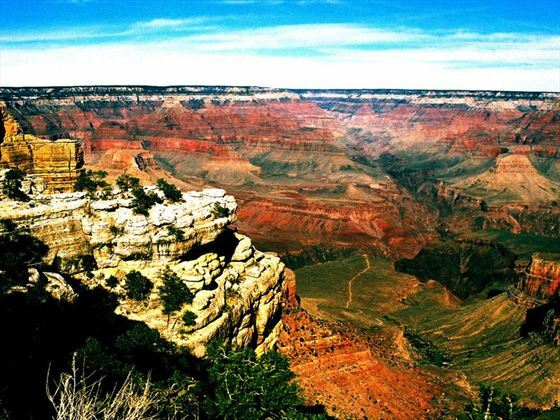 Upon arrival at the Grand Canyon National Park Airport you’ll board a motorcoach to embark on the ground portion of the tour, stopping along the Rim to take in the incredible vistas. Join Grand Canyon Railway’s vintage train to Williams. Once on-board the train, sit back and watch a remarkable world go by whilst being entertained by strolling musicians. Today you’ll be journeying along sections of Route 66, as you drive along the main streets of Williams and Flagstaff. Continue to Powell, located by the stunning Lake Powell, for a two night stay. Enjoy exploring the Navajo Nation. Antelope Canyon will be a highlight, this is the most photographed slot canyon in the world and was formed over hundreds of years of water running over sandstone. Enjoy a full a day being awed by sights of iconic Monument Valley, the setting for countless western movies. Head west via impressive Bryce Canyon, filled with thousands of “hoodoos”, limestone spires shaped by the wind and rain. Continue to Zion, Utah’s oldest national park known for it’s lush valleys and spectacular views. Here you can take in the wonderful vistas of massive cream, pink and red sandstone cliffs soaring into the sky. Today you’ll return to Las Vegas, where you can enjoy more leisure time. Perhaps choose a night tour when you can see the volcano at The Mirage erupt and the incredible Fremont Street Experience light show. Today your tour ends, it’s time to fly home. Luggage Requirements: All passengers may bring one suitcase weighing no more than 20 Kilograms and one additional carry-on bag that must be stowed underneath the aircraft seat during flights. 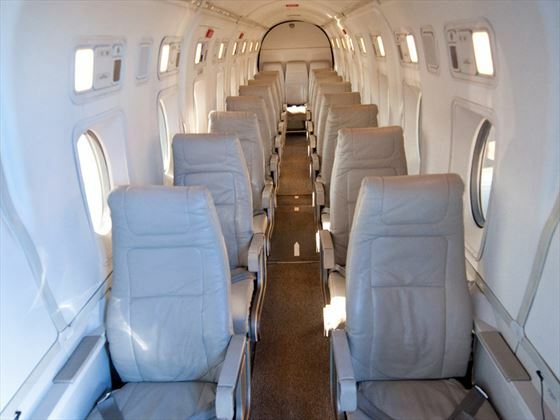 Due to space and weight limitations on the private aircraft, no additional bags or items may be carried under any circumstances.